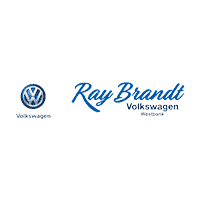 You may know exactly what car you want from Ray Brandt Volkswagen, but what you may not know is that financing your new car is not the only option. Leasing your new Volkswagen comes with a lot of great advantages, making it the better choice for many drivers. Leasing a new car often makes it possible for drivers to put down a smaller down-payment and also pay a lower monthly payment throughout the term of the lease. Knowing that your monthly budget is important, our financing team experts can help you decide if leasing your new Volkswagen is the right choice for you. You may decide that you have loved your Volkswagen throughout the entire lease term and at the end you would prefer to just keep it. In this instance the dealership will be able to finance the Volkswagen for the remaining amount due on it. Many people however, enjoy having a lease because at the end of the lease term they are able to trade in the Volkswagen they have been driving for a newer or different model. Each year Volkswagen adds more comfort, tech, and safety features to their lineup and trading the car for a new lease will allow you to always have the latest and greatest automotive features. One of the best things about a lease is that you are less likely to have to put a lot of money into maintenance and repairs. Most likely your newly leased vehicle will be covered by the manufacturer’s warranty for the entire term of the lease, allowing you to only have to pay for regularly scheduled maintenance. Our Lease Specialists at Ray Brandt Volkswagen are ready to help customize a lease for you on that Volkswagen of your dreams. We are conveniently located in Harvey, Louisiana, and also proudly serve drivers in the greater Metairie, New Orleans, Mandeville and Gretna areas.